The combination of searches for squarks and gluinos in ﬁnal states containing jets, missing transverse momentum and zero or one electron or muon is presented. 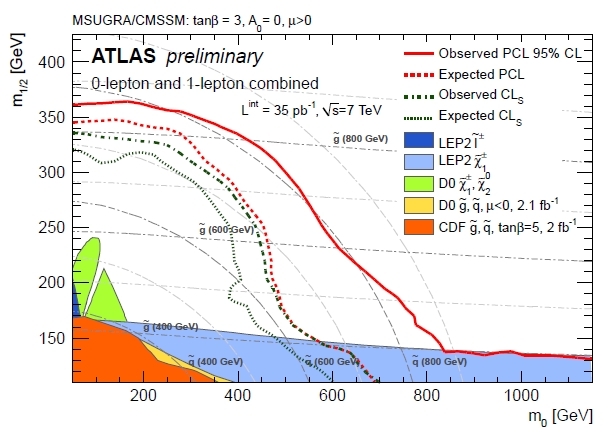 Tommaso proposed also two interesting post, another about ATLAS, and one about LHC's recent record. I hope to examine all materials soon. Waiting you can read Z' boson and phenomenology of a peak. And a good Easter to all readers! A beautiful video by Terje Sorgjerd (you can see also on vimeo) realised in time-lapse. One of the most important tool for a science blog in mathemathics and physics is the equation editor. To embed equation in post we can use a lot of solutions: for example we can write eq. on Wikipedia, past image url or download it and use in our post; we can use also LaTeX editor by codecogs.com, and also we can copy img code or download our equation. But there's a most elegant solution: MathJax. We propose that the 3.2 sigma excess at ~150 GeV in the dijet mass spectrum of W + jets reported by CDF is the technipion $\pi_T$ of low-scale technicolor. Its relatively large cross section is due to production of a narrow $Wjj$ resonance, the technirho, which decays to W + $\pi_T$. We discuss ways to enhance and strengthen the technicolor hypothesis and suggest companion searches at the Tevatron and LHC. There's only one controindication: the feed rss. In feed, indeed, we sent LaTeX code and not the image version. I hope that the tools could be useful to other bloggers. This is my first post for Doc Madhattan. First of all the explenation of the name of this new blog: I'm a theoretical physics, so I have two research fileds, physics and maths. But I have also another big passion: comics! So I decide to combine this elements in a name who combine Doc Manhattan, from Alan Moore's Watchmen, with Lewis Carroll's Mad Hatter, and here comes the name: Doc Madhattan! It's a good place to open a science blog in English language! There are good science blogs, here, and I think very good people! "I've written articles in many areas, and in many cases I could show my colleagues what I had done in their field," Michel [Aaij] says. "I'd like to think that by now most of them have a favorable opinion of Wikipedia. 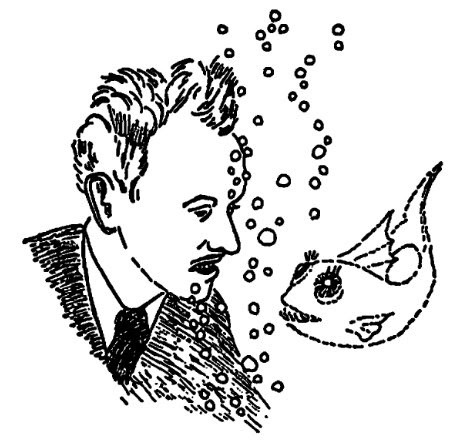 Let's face it: Guillaume de Dole, now a Good Article, there's no database entry or encyclopedic article anywhere that compares to the Wikipedia article on that poem (and I realize that that says as much about Wikipedia as about the anywhere else)." Why? I'm also a Wikipedian! P.S. : excuse me for my english... I promise you I'll write better.